Every one of our persons served receives supports coordination, which is exactly what it sounds like. Social workers coordinate services for people to enhance all aspects of their lives. 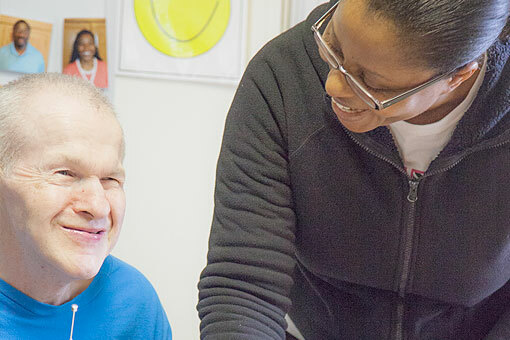 Our coordinators make sure each person is living a quality life, which involves health (both physical and emotional), finances and socialization as well as ensures each person served is in a good living environment and can work or volunteer as he or she chooses. Through contracts with nurses, dietitians, behavior-support specialists and occupational, speech and physical therapists, our persons served also have access to psychiatric services, psychological testing, counseling and other specialized support.